A 40 years-old journalist, Nico Blavatsky, his love life in shambles, begins an investigation into presumed economic crimes. The paper he works for is having problems: gifts and favors given to upper management by people in high places dictate the information readers receive. Soon Nico will find himself immersed in a plot involving the mafia and politicians, with shady characters whose top priority is making easy money. 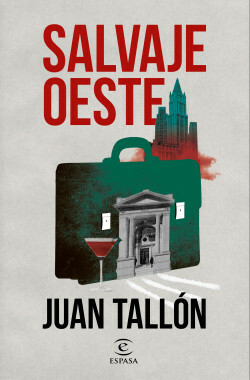 Juan Tallón has written a novel that ends up being a landscape, in a way demolishing, but also necessary, of power in all its forms, with an undeniable literary talent that shines in each of its pages and in each of its characters.